Description: Fundamenta Fortis is Latin for strong foundation. The base of this table is built like a tank with mortise and tenon construction. Fundamenta Fortis can be used as a bench, a coffee table, or a step stool for your pet elephant. 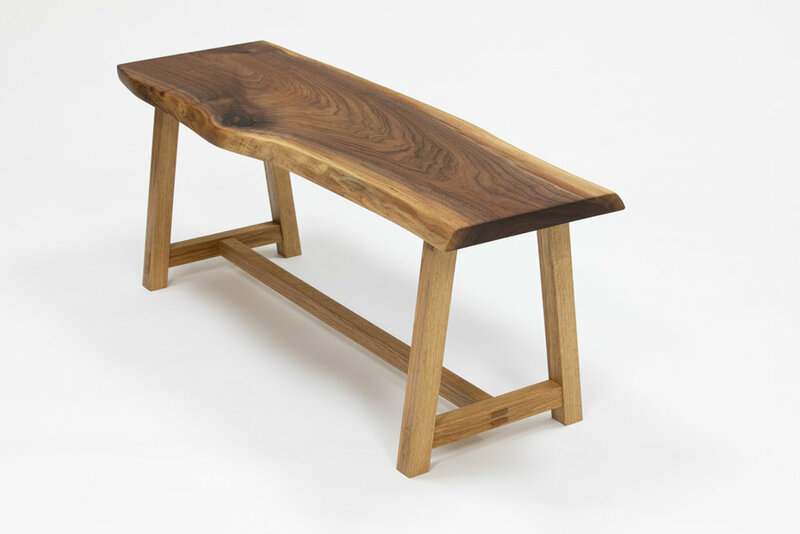 It is made of a slab of Texas walnut with contrasting white oak legs. Finished with hand rubbed oil.